Site details: A contemporary family run bistro. 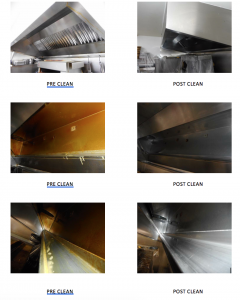 Special features: System comprises of one canopy hood (2 x 1 x 0.5)m with approximately 3 metres of extract ductwork and a medium extract fan unit. 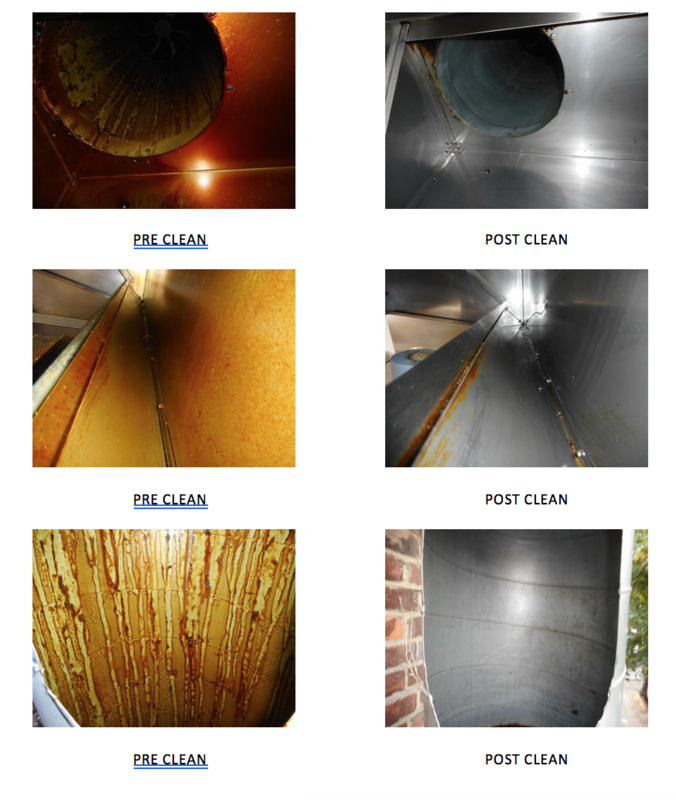 The WFTT readings pre clean were as follows: Canopy 600 microns, ductwork from canopy 400 microns, fan unit 200 microns and ductwork after fan unit 400 microns.